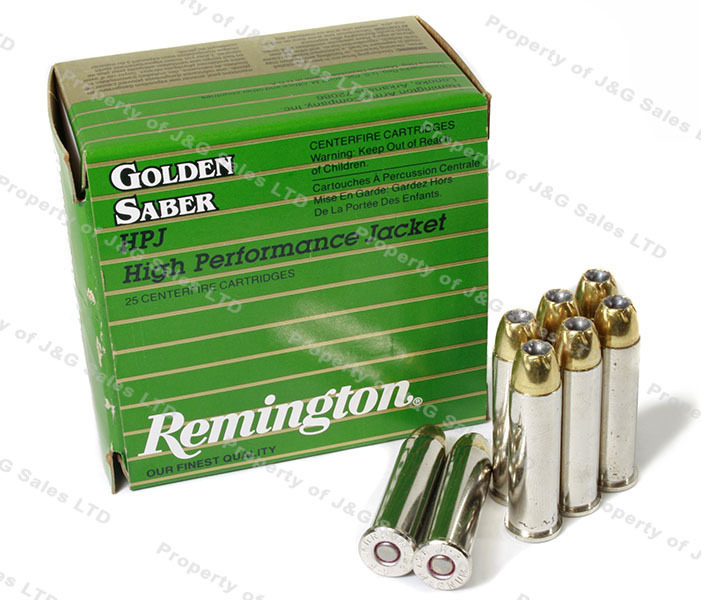 357 Mag Rem Golden Saber 125gr HP Ammo, 25rd box. Primers are triple inspected during manufacturing process. Primer an mouth waterproofing for long-term reliability. Reduced nose diameter allows precise bore alignment for enhanced accuracy. treated powders suppress muzzle flash. 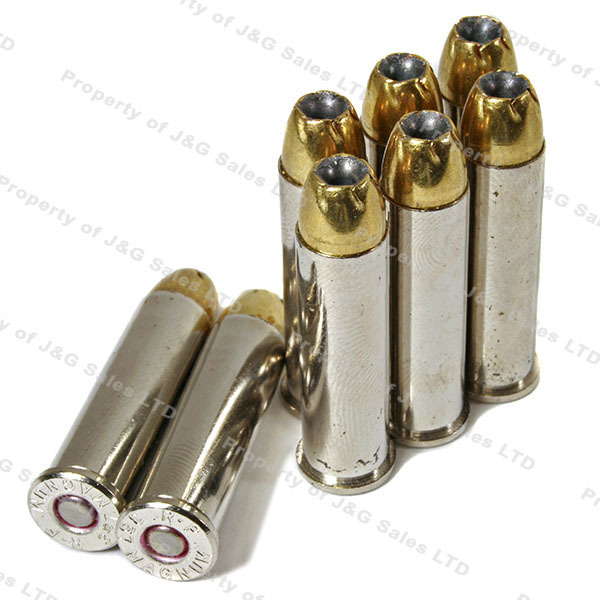 Nickel-plated cases for reliable function in all types of pistols. exclusive brass jacket controls mushroom and releases energy over longer distances. Nose cuts go completely through jacket for better mushroom initiation over widest range of practical velocities. Good price for the times. AND you have the ammo available!! Of course it shoots well. Great ammo, fantastic self defense load. Works well in a 3 inch carry revolver.